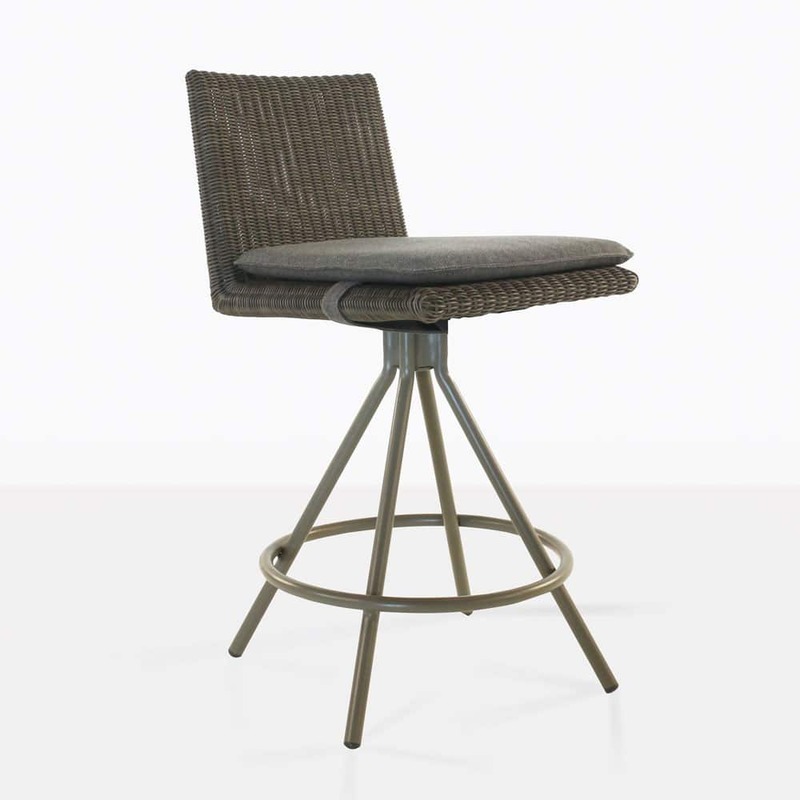 The counter height stool is a popular height for kitchen islands and outdoor dining, the Loop Swivel Counter Stool is an excellent choice for both spaces. 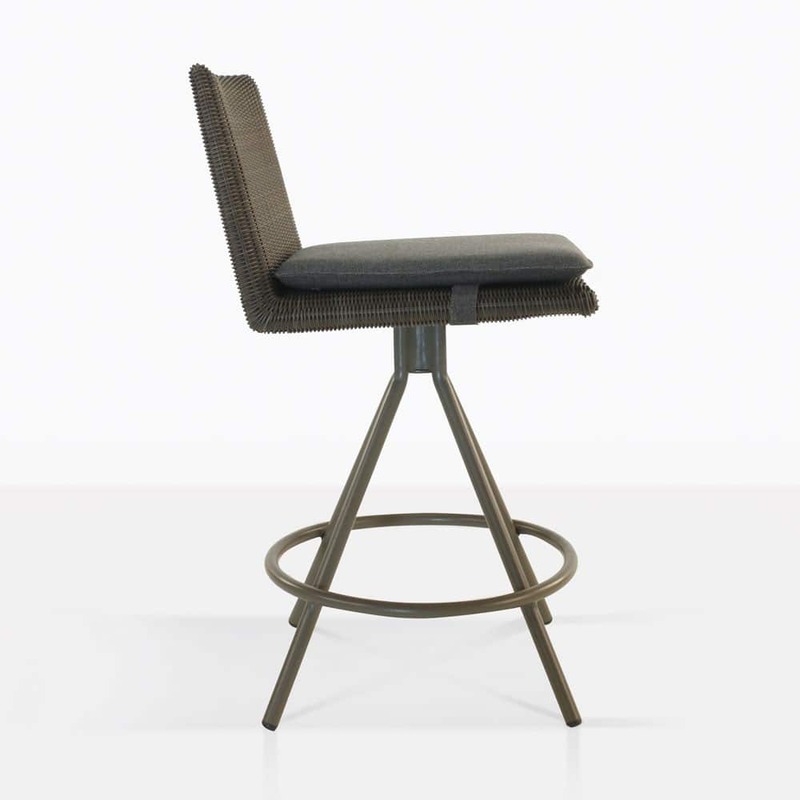 It offers a swivel function and is made with premium materials. 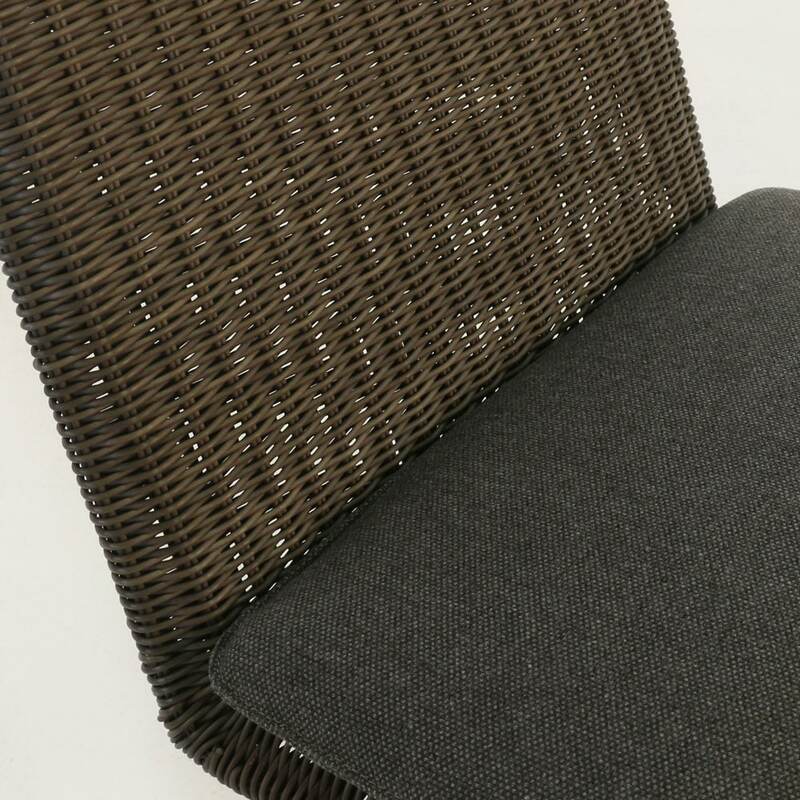 It has a contemporary feel with a hint of classic outdoor dining chairs because of the beautifully woven wicker seat. The powder coated aluminum base is strong and durable. 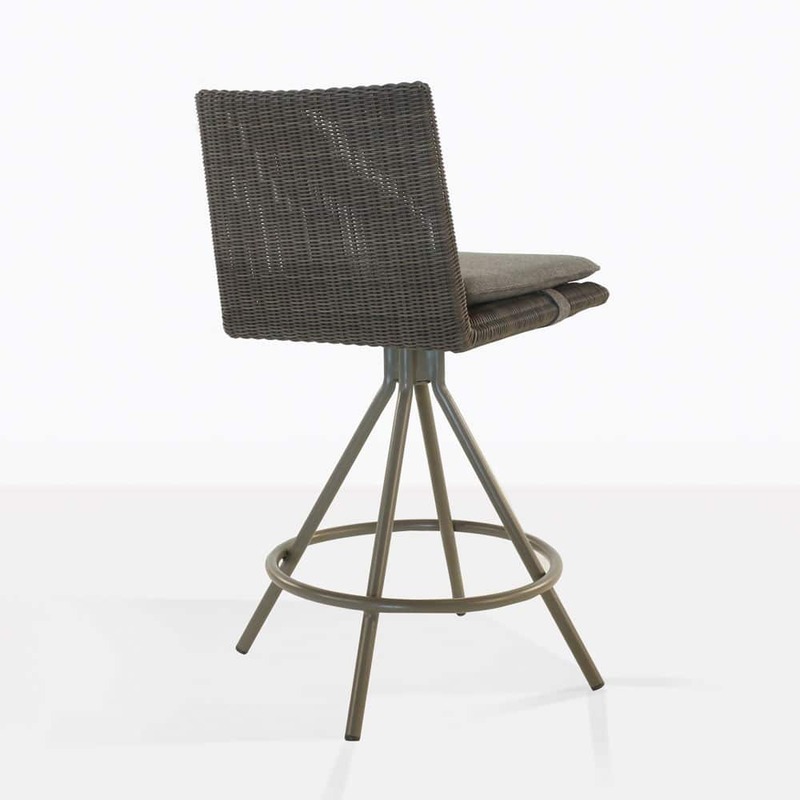 The seat comes with a removable Sunbrella® seat cushion in charcoal grey.